The four “volunteers” who Roger Stone identified in court as having worked for him at the time a disparaging image was posted on his Instagram are still posting in Stone’s defense on social media, despite the gag order, BuzzFeed reported. On Thursday, U.S. District Judge Amy Berman placed a gag order on Stone that not only limits what he can say in public and online, but also what his volunteers and associates can say about him as well. The volunteers are members of the Proud Boys, a male far-right extremist group. 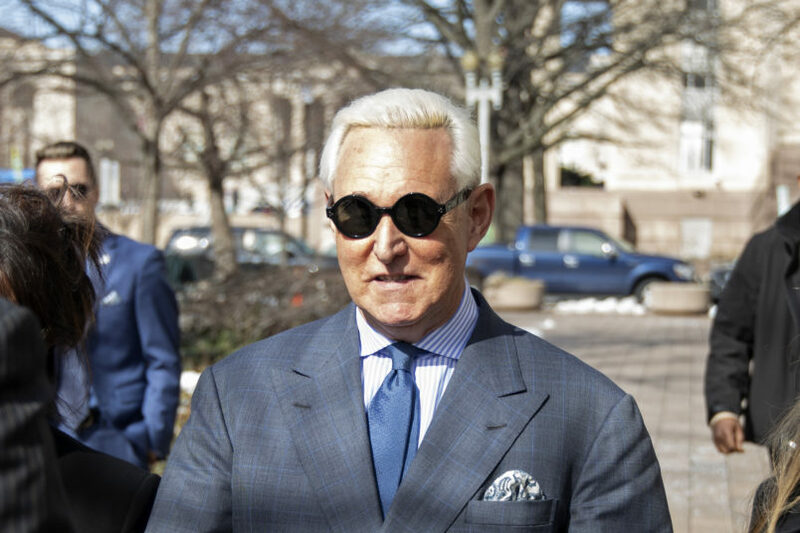 One of the volunteers, Rey Perez, tweeted on Friday about how the “liberal media” was trying to spin #RogerStoneArrested into evidence of #RussianCollusion.” Another volunteer that Stone identified in court, Enrique Tarrio, wore a t-shirt that said, “Roger Stone did nothing wrong!” at a Trump speech last week. Read the full BuzzFeed article here.